Perhaps, most of us have an experience of riding in a jeepney. It is called "King of the Road" and the most popular and most affordable mode of public transport in the Philippines. But the question is, have you ever ride on an aircon jeepney with a wifi, flatscreen TV, karaoke and CCTV camera? In Ilocos Norte, a passenger jeepney is gaining a lot of attention because of its colorful and attractive stickers. Other than this, it is also equipped with different kinds of high-tech accessories. It is owned by former jeepney driver and now Filipino migrant Candido Hipolito of Barangay 6, Piddig, Ilocos, Norte. 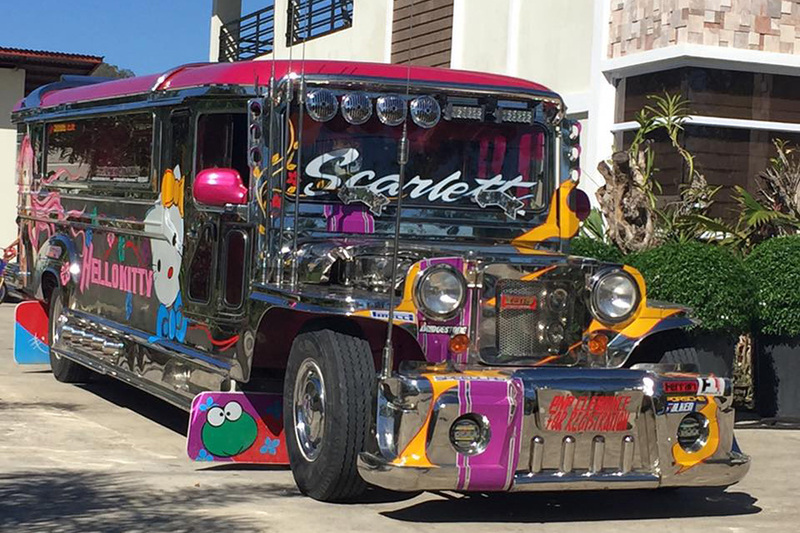 The jeepney has a name and they call it "Scarlet" after Hipolito's fourth and youngest child. 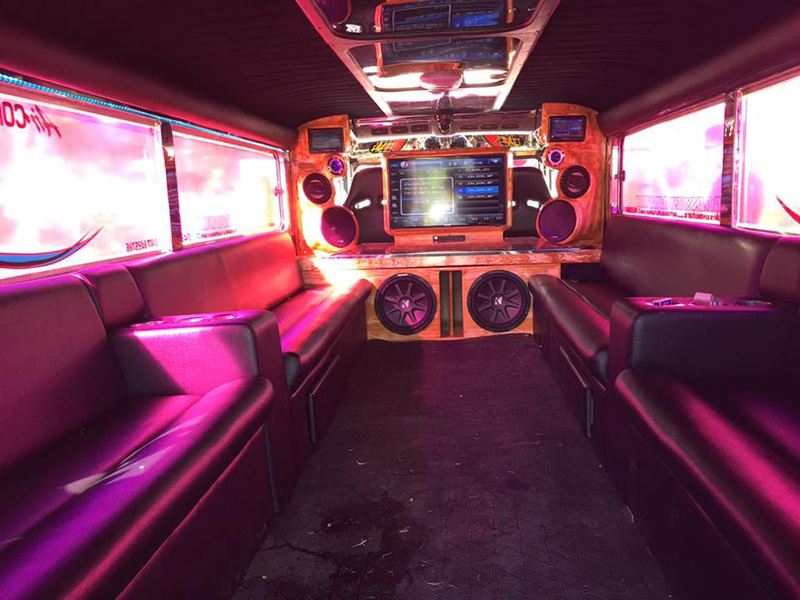 The 21 seater jeepney is equipped with a CCTV camera, WiFi, aircon, flat-screen TV, and a karaoke. The bumper, back door, and skirt of the jeepney are also movable and hydraulically operated. For Hipolito, owning a unique jeepney is a dream come true. He spent more than a million pesos in his jeepney which was made and assembled in Bulacan. He said he worked as a passenger jeepney driver in Ilocos Norte before immigrating in Hawaii with his family. "Dati kasi nagdra-drive ako ng Laoag-Piddig. Inambisyon ko rin na balang araw, magkakaroon din ako ng kakaibang sasakyan,” Hipolito said. Unfortunately for those who want to try riding in the said jeepney, It is neither for rent nor for public transportation but for family use when they are in the Philippines for vacation.